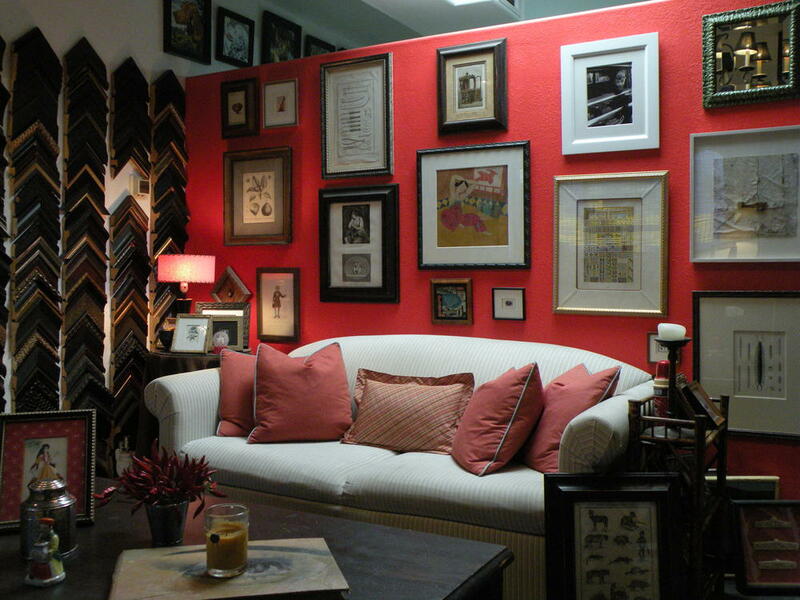 At Memento, clients are welcomed into our comfortable living room-like studio, surrounded by hand-chosen moulding samples and a gallery of framed artwork. We consider ourselves artists and professionals dedicated to maximally enhancing clients' artwork and welcoming clients back year after year. Previously called Yesteryear, it was located in a charming little studio across from the Pacific Design Center, and served not only our private clients but also local designers in West Hollywood. In 1994, former New York interior designer Debora Dale partnered with the business' founder Yolanda Tisdale, and together we introduced a specific method of art conservation that is still an essential component in the work we do today. 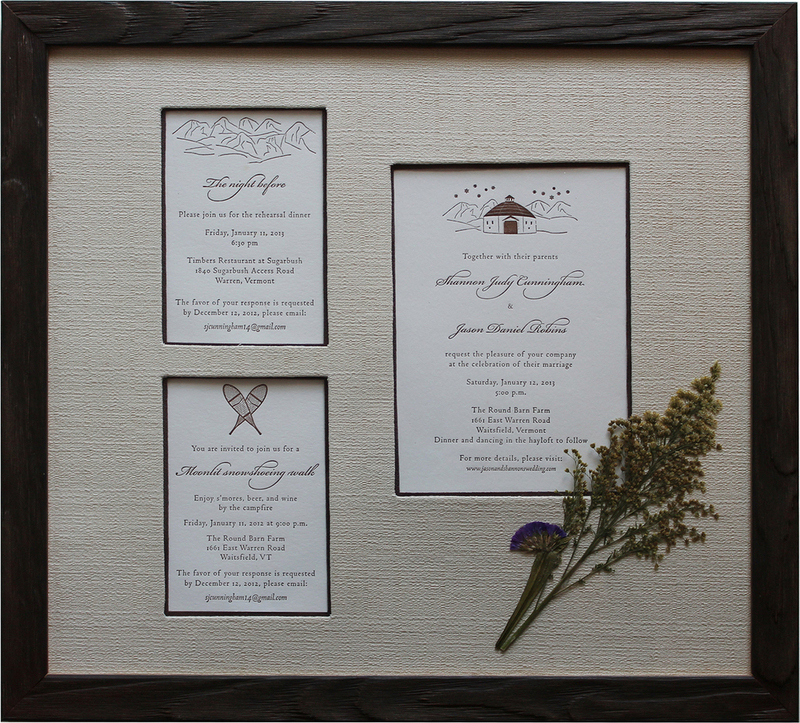 Our picture framing has never failed to transcend industry standards and consistently evolve with our beloved clients in mind. On the day of your appointment, you'll sit down for a private consulation with Debora in our comfortable living room-like studio, surrounded by a myriad of hand-chosen moulding samples and framed artwork decorating the walls. 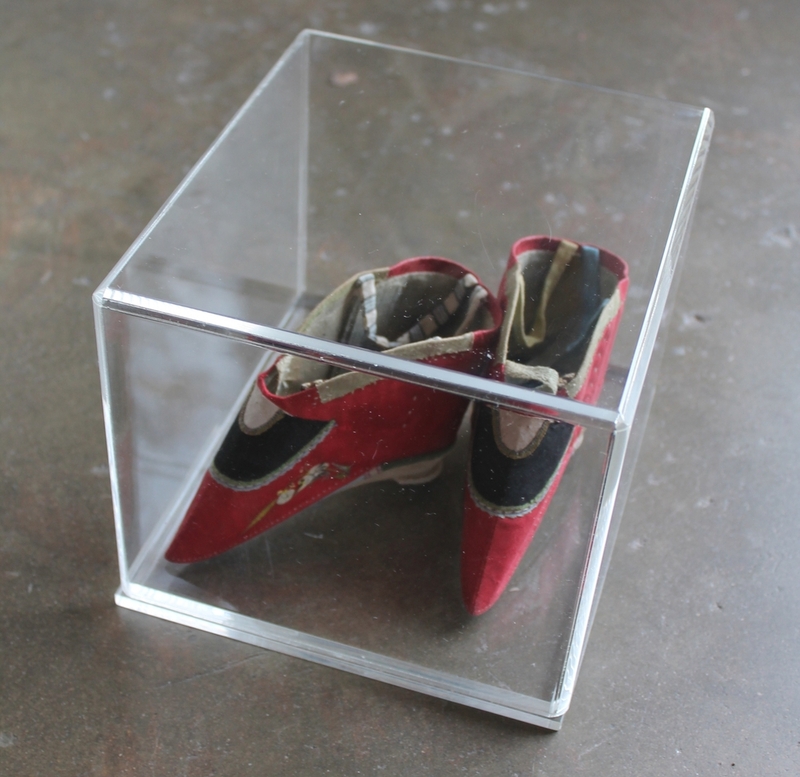 Whether custom framing and mirrors, ribbon & tack boards, or shadow boxes suit your fancy, we work exclusively with you to find the most fitting method of displaying your priceless possessions. In addition to picking up your finished work the old fashioned way, we also offer home delivery, interior consulting, and picture placement and installation services. All work is done on premises. We're excited about each new project, whether it's an invaluable piece of fine art, a collection of Jean Cocteau for a museum, a child's drawing, a client's Nobel Peace Prize, a collection of memorabilia, or a large hospitality project requiring inexpensive but elegant framing. We also have fine craftsmen to hand carve and water gild important frames to order. Meticulous attention is paid not only to the design of a piece but also to its "innards", because the materials we use insure your artwork is protected against premature aging or damage - therefore retaining value, longevity and most importantly...beauty. 1920's luggage label from the Hotel Alexandra in Copenhagen. 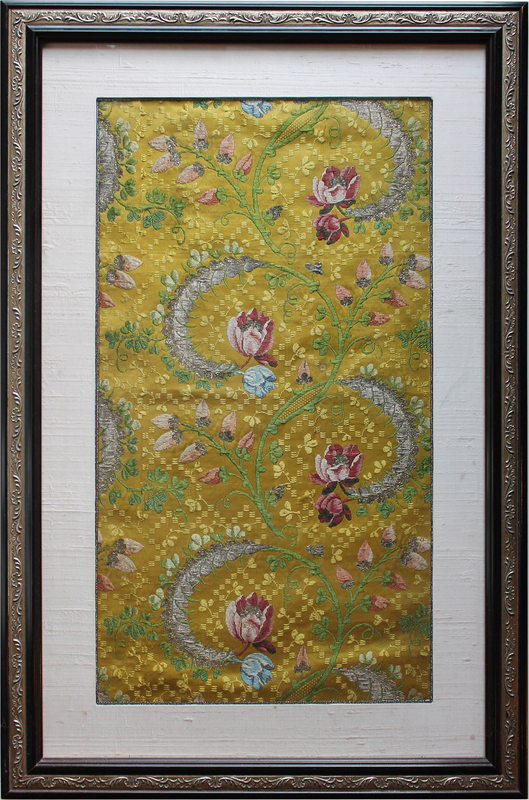 Framed in an ornate antique gold frame and grey floral fabric matting with gold & black ribbon trim. An extraorinary hand-embroidered antique silk fabric piece is preserved in a pewter trimmed Thai silk mat in an espresso and embossed pewter finish custom frame. 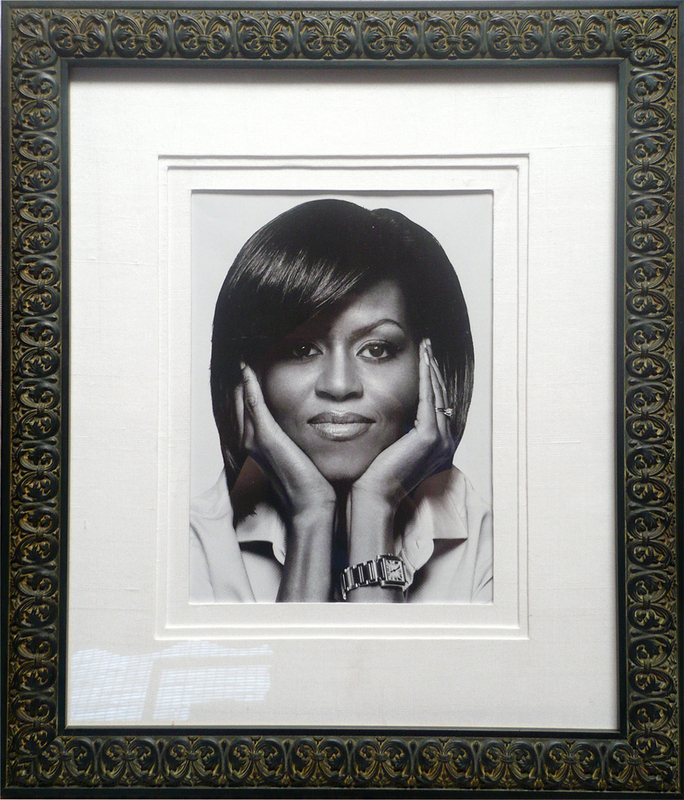 This Time Magazine photograph of Michelle Obama was a gift for her from a client and was framed with triple linen mats and a hand stained frame. 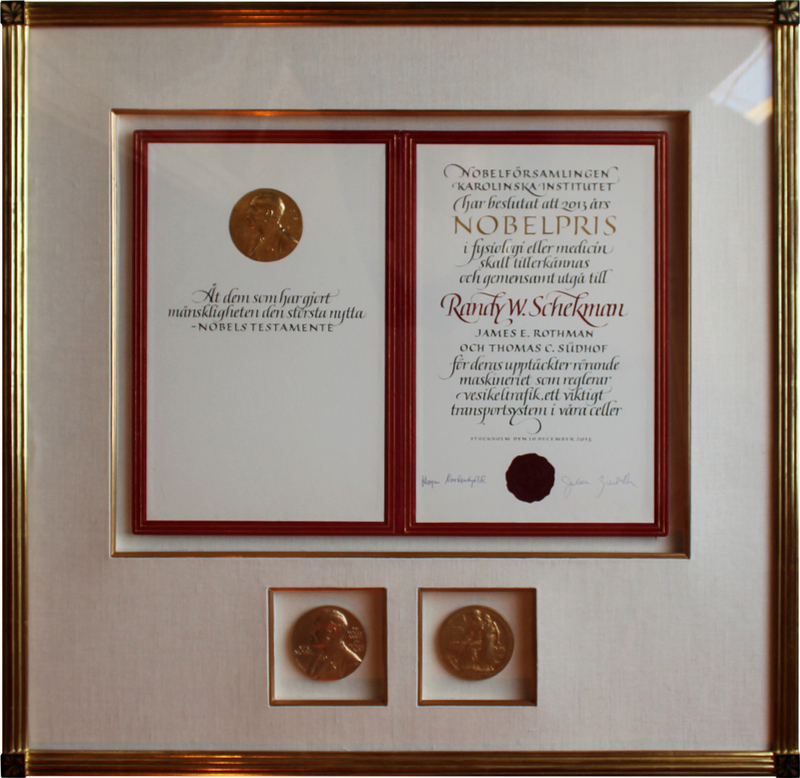 We got more excited about framing this client's Nobel Peace Prize certificate medals than any piece of art we've done. We had our craftsmen hand carve & water gild the frame we designed with black & gold scrafitto corner details.